[S68] Marriage, St Thomas, Golborne, unknown period "74." [S656] Unknown author, Confirmation Card, 15 April 1874 "unknown cd." [S661] Bishops for James Livesley and Margaret Reeves, 4 November 1884 "unknown cd." [S261] Baptism, St Thomas, Golborne, 1864-1903 "p236/1887." [S322] Baptism, St Thomas, Golborne, 1903-1915 "p28/224." [S321] Burials, St Thomas, Golborne, 22 Sep 1869-21 Nov 1903 "p129/1030 William Reeves, Golborne, 10 August 1882 17 CT Quirk." [S586] Baptism, St Luke (Lowton), 1834-1859 "p148/1178." [S40] UK National Census for 1851 for UK, "HO 107 2201 f328a p19 63." [S47] UK National Census for 1861 for UK, "RG9/2786 f92a p18 77." [S1051] Website Lancashire BMD (http://lancashirebmd.org.uk/) "Wigan : C8/2/412." [S586] Baptism, St Luke (Lowton), 1834-1859 "p196/1561." [S2] UK National Census for 1871 for UK, "RG10/3898 f96 p17 82." [S45] Website FreeBMD (http://freebmd.rootsweb.com/) "Marriages Mar 1884 Davies Thomas Leigh 8c 311." [S45] Website FreeBMD (http://freebmd.rootsweb.com/) "Marriages Mar 1884 HART Jane Ann Leigh 8c 311." [S2243] E-mails from Ken Bowden to Alan Bennett, 2008 "Jane Ann remarried 14 January 1884 at the congregational church, Pennington." [S1051] Website Lancashire BMD (http://lancashirebmd.org.uk/) "Wigan & Leigh : ROL/36/30." [S643] Baptism, St Thomas, Golborne, 1915-1927 "p29/225." [S3835] National Health Service Register for UK (online image) "Ref: RG101/4769G/005/22 Letter Code: NUVC." [S643] Baptism, St Thomas, Golborne, 1915-1927 "p29/226." 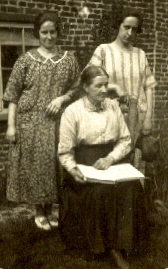 [S670] MI, Ellen and Annie Holland John. [S330] Burials, St Thomas, Golborne, 1919-1929 "p78/623." [S277] Baptisms, BVRI, Marriage of son James Livesley to Mary Ann Reeves. [S677] Baptism, St Mary, Leigh, 1771-1780 "3 March 1776 James son of Thomas Livesley of Westleigh." [S76] UK National Census for 1841 for UK, "H.O. 107/524/7 f19a p31." [S678] Unknown author, unknown short title, Grave 204 2B. [S40] UK National Census for 1851 for UK, "H.O. 107/2204 f67a p5 15." [S1003] Burials, St Oswald (Winwick), 1837-1865 "p316/2521 5 Dec 1851 James Livesley Golborne 75." C036662 1788 - 1812 942.72 K29PR Book 6909473 Film." [S601] UK National Census for 1881 for UK, "RG11/3788 f9 p12." [S76] UK National Census for 1841 for UK, "HO 107/522/3 f10 p12." [S2] UK National Census for 1871 for UK, "RG10/3900 f142 p23 107." [S277] Baptisms, BVRI, William son of George and Esther HOLLAND. [S277] Baptisms, BVRI, George son of George and Esther HOLLAND. [S70] General Record Office Indexes "Death HOLLAND Esther 65 Warrington.8c 89 1 1876." [S277] Baptisms, BVRI, Daniel son of George and Esther HOLLAND. [S277] Baptisms, BVRI, James son of George and Esther HOLLAND. [S277] Baptisms, BVRI, Alice daughter of George and Esther HOLLAND. [S601] UK National Census for 1881 for UK, "RG11/3773 f105 p34." [S277] Baptisms, BVRI, Peter son of George and Esther HOLLAND. [S1051] Website Lancashire BMD (http://lancashirebmd.org.uk/) "C19/1/323." [S2] UK National Census for 1871 for UK, "RG10/3890 f96 p41 175." [S45] Website FreeBMD (http://freebmd.rootsweb.com/) "Marriages Sep 1869 HOLLAND William Prescott 8b 917." [S45] Website FreeBMD (http://freebmd.rootsweb.com/) "Marriages Sep 1869 LIVESEY Mary Ellen Prescott 8b 917." [S2] UK National Census for 1871 for UK, "RG10/3900 f142 p23 105." [S1] Website IGI (www.familysearch.org) "C005569 Elizabeth Reeves daughter of Mary Ann Reeves Christened at Wigan on 14 August 1836 (born 25 June 1836)." [S601] UK National Census for 1881 for UK, "RG11/3775 f77 p18 59." [S48] Online index to the UK National Census for 1901 for UK "RG13/3560 f81 p17 92." [S601] UK National Census for 1881 for UK, "RG12/3083 f20a p46 287." [S72] UK National Census for 1891 for UK, "RG12/3083 f20a p46 287." [S586] Baptism, St Luke (Lowton), 1834-1859 "p82/651." [S45] Website FreeBMD (http://freebmd.rootsweb.com/) "Deaths Jun 1885 FAIRHURST Mary 8c 46." [S601] UK National Census for 1881 for UK, "RG11/3774 f80 p9." [S45] Website FreeBMD (http://freebmd.rootsweb.com/) "Marriages Jun 1877 Dean Alice Wigan 8c 29." 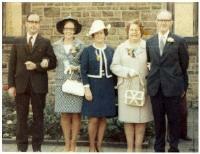 [S45] Website FreeBMD (http://freebmd.rootsweb.com/) "Marriages Jun 1877 LIVESLEY John Wigan 8c 29." Source: FHL Film 1469056 Dates: 1838 - 1872. [S1051] Website Lancashire BMD (http://lancashirebmd.org.uk/) "Wigan: C16/1/213." [S1002] Burials, St John the Evangelist, Abram, 1918-1948 "p100/793 b 1928 Alice Pilkington 179 Walthew Lane, Hindley 78." [S45] Website FreeBMD (http://freebmd.rootsweb.com/) "Births Mar 1878 Livesley John Albert Wigan 8c 92." [S45] Website FreeBMD (http://freebmd.rootsweb.com/) "Births Sep 1879 Livesley Joseph Dean Wigan 8c 90."